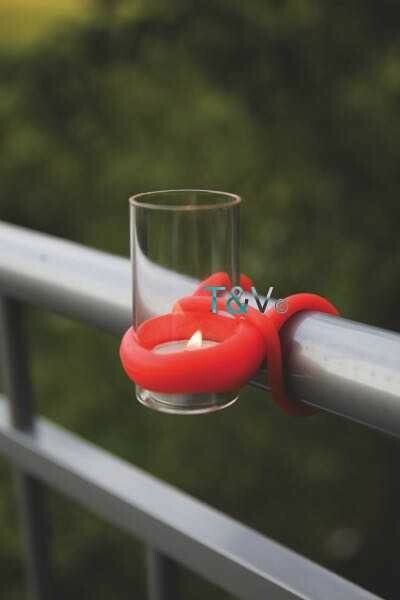 Specify your choice (price is per piece) in "comments on my order”. 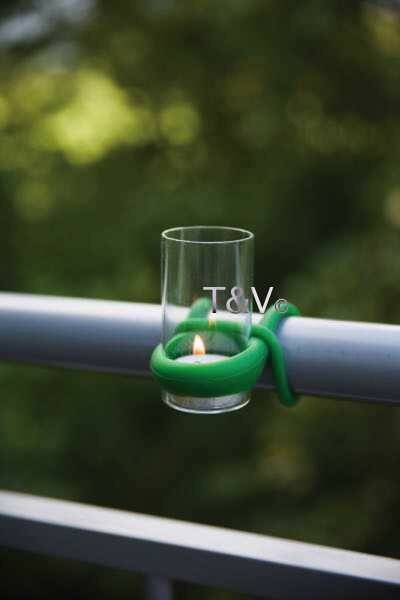 Balcony tealight glass green, red or petrol. 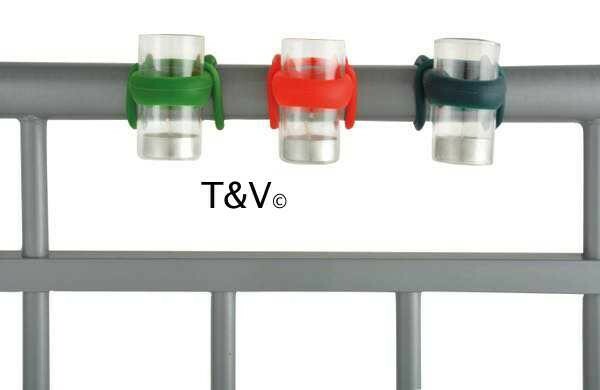 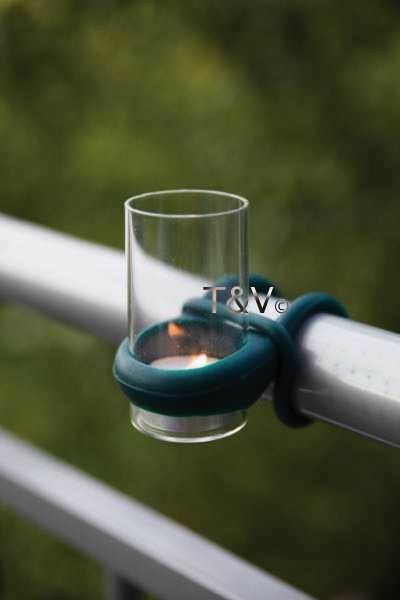 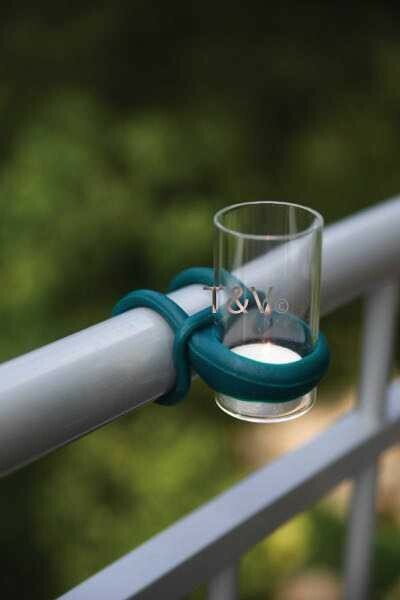 Balcony tealight glass with silicone attachment loop for balcony railing.